Before there were countless oil cleansers at every price point available on shelves, there was the Oil Cleansing Method. With a devoted following on the Internet and positive testimonials aplenty to its name, the OCM, as it’s called for short, was a revolution in skin care: It eschewed traditional foaming cleansers in favor of washing only with oil, even on oily skin. Now that we know a little more about using oil in skin care, the idea doesn’t seem so crazy. Facial cleansers with lathering ingredients disrupt the skin’s natural oil balance, which can make dry skin drier and oily skin produce even more oil to compensate. The fact that oil dissolves oil is science, so when you use the right types of oils in the right combinations to cleanse the face, you’ll be able to gently yet effectively cleanse the skin of pore-clogging oils and bacteria while also maintaining moisture balance. If you’re new to oil cleansing, then you may find the method totally weird—and, to be entirely fair, you may feel safer venturing into it by way of a pre-formulated store-bought version. But if you’re an experienced oil cleanser, or you just have a way with DIY and like to get adventurous, then creating your own DIY cleansing oil is a simple, fun project to take on. What could be more satisfying than formulating your perfect cleanser based on your skin’s specific needs? Regardless of your skin type, oil cleansers should all be used in the same way. Start by massaging the oil into dry skin using circular motions, focusing especially on where pores are clogged or where you’re wearing a bit more makeup than usual. Saturate a clean washcloth with hot tap water, then wring it out and gently remove the oil and the makeup with it. Follow a 1:3 ratio, with one part castor oil, which helps to purge the skin, to three parts carrier oil of your choice. For oily and acne-prone skin, we love safflower oil and evening primrose oil, both of which nourish the complexion without clogging pores or causing irritation. Safflower prevents moisture loss and helps the skin to protect itself from toxins and bacteria in the environment, while evening primrose, a natural anti-inflammatory, is full of fatty acids to soothe and heal blemish-prone skin. Follow a 1:4 ratio, with one part castor oil to four parts carrier oil. You can change up your recipe based on whether your skin requires more or less moisture at that time. Argan oil is a wonderful ingredient for skin that tends toward combination, as it’s neither too light nor too heavy—it’s the perfect medium-weight oil that will address both your oilier areas and your more parched ones. 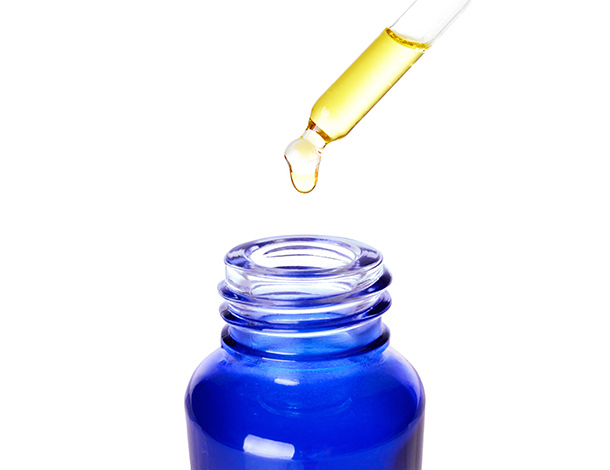 Fatty acid-rich hemp seed oil is also wonderful, and furthermore, its comedogenic rating of 0 means it won’t clog pores. For dry and super sensitive skin, a 1:10 astringent to conditioning ratio is key—the astringent castor oil will still bond with the skin to pull dirt and debris away from the pores, but the high quantity of nourishing carrier oils will prevent your complexion from drying out or turning reactive. Camellia oil is one of our very favorites for tempering dry and reactive skin, as it really soothes and hydrates without clogging the pores. Grape-derived scalene is also wonderful: it most closely resembles the skin’s naturally secreted sebum, so skin loves it.